This guest post has been graciously prepared for us by the incomparable Conor Hilton. Conor is young and Mormon and a feminist and is currently working on his Master’s in English literature at BYU. Check out his blog here, or follow him on Twitter @HiltonConor. Feel free to let us know in the comments sections why you still watch (or don’t watch) General Conference, and how you get through it. Join us on Saturday and Sunday as @youngLDSfems live-tweets the sessions. As an unorthodox Mormon, General Conference is a complicated, frustrating, uplifting, heartbreaking, challenging time. I’ve provided tips for enjoying GenConf before on my blog, but today I thought I’d explore some of why I still watch GenConf, given my unorthodox Mormon-ness. So, here are some reasons why. 1. For Community. I watch because I am Mormon. Because it’s a time for coming together as a community. A time of unity, where even when I disagree with things that are said, there are shared topics of conversation. I enjoy the sense of one-ness that comes with GenConf (particularly with some fellow snarky live-tweeters). 2. For Others. I watch because I empathize with those that feel they can’t. I watch to offer a voice of support for friends and others that feel marginalized. I recognize that I have certain privileges that make most of the hurt I feel far less personal. Because of that privilege, I have an obligation to work to make that space more welcoming for my fellow saints who feel unwelcome. I can provide different perspectives for friends and family that listened, but don’t get why people would be frustrated or hurt. I can offer some insight into the more nuanced and complicated world that either I didn’t see represented or felt was misrepresented. 3. For Understanding. I watch because I want to better understand those that believe without question, those who see the world more starkly contrasted than I do. I know that the way I see the world is different than the majority of my fellow, active, Church-going Mormons. In order to help them understand where I am coming from, I strive to understand where they are coming from. I know that my perspective is limited and shaped by what I read, what I chose to study, who I spend time with, and any number of other outside factors. I know that I could be wrong—perhaps I have adopted fundamentally flawed perspectives for my worldview—and I engage to see other possibilities at work. To try to understand others and to broaden my own limited perspective. 4. To be Uplifted. While I do not think that every word spoken at GenConf is straight from God or meant for me to be spiritually fed, I still have uplifting experiences. These uplifting experiences happen less frequently than when I watched as a missionary, where I was so starved for entertainment and media of any kind that 10+ hours of old dudes in suits (and the occasional woman in some primary color) maybe shifting 45 degrees every once in a while was thrilling, but they still happen. Elder Patrick Kearon’s comments on refugees this past April were moving and profound, for example. Pres. Uchtdorf’s thoughts on grace peppered throughout were enlightening. It’s not all terrible—sometimes it can be pretty insightful. 5. For Humor. I’m not suggesting that GenConf is like some weekend of Mormon stand-up (because we all know that’s not true). However, I’ve been live-tweeting GenConf since April 2015 and mostly interact snarkily with the talks and what’s on the screen and those conferences have been so much more enjoyable. The twitterstake can be pretty hilarious. Tweeting helps me cleverly interact with what’s being said and occasionally leads to surprising insights and connections. But mostly I get to amuse myself (and others if I’m lucky—@HiltonConor if you want my snarky commentary to supplement, or replace, your GenConf experience). That’s why I still watch. I want to engage and help the community improve. I want us to be better and I think GenConf provides some impetus for that (in a variety of ways). 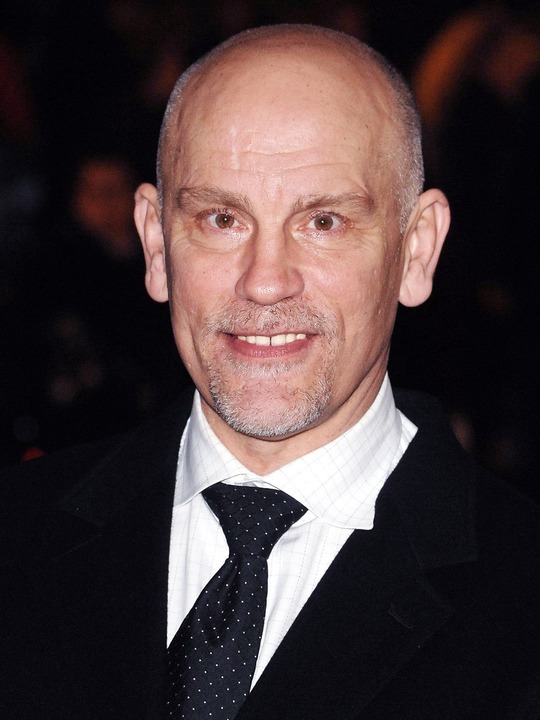 And I love any opportunity to remind people that Elder Renlund has to be John Malkovich undercover.